﻿ Best Price on Hotel Casa Antigua in Granada + Reviews! 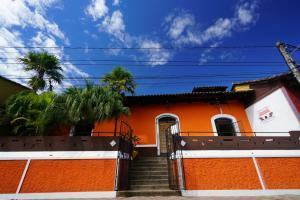 Hotel Casa Antigua is a colonial-styled house that is 5 minutes’ walk from Granada Central Park and Cathedral. Free WiFi access is available throughout the property. The rooms here will provide you with a private bathroom, wardrobe, towels and linen, ceiling fan and air conditioning for an extra charge. Breakfast is available at the property. Guests can find restaurants only 656 feet away. 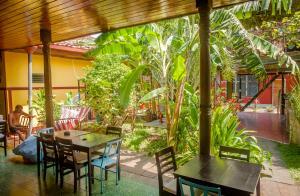 At Hotel Casa Antigua you will find a central garden and a terrace. Free luggage storage is available and laundry services can be requested for a surcharge. The friendly staff can provide assistance in Spanish, English and French at the reception or at the on-site tour desk. This property is 1.2 mi from Granada dock and Managua International Airport is 33 mi away.